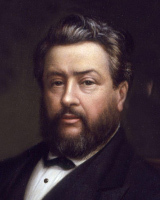 Charles Spurgeon (1834–1892) was a prolific author and England’s best-known preacher for most of the second half of the nineteenth century. His writings included sermons, commentaries, books, devotionals, poetry, hymns, and more. Spurgeon’s powerful oratory commanded the attention of listeners, and his messages have been recognized as among the best in Christian literature. Countless Christians have been inspired by Spurgeon’s straightforward and insightful writings.